Contest: WIN an AVerMedia bundle worth over £500! 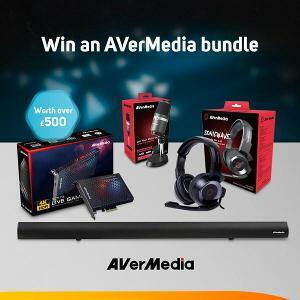 WIN an AVerMedia bundle worth over £500! Prize: WIN an AVerMedia bundle worth over £500! Statistics: This contest was opened by 140 and entered by 15 ContestChest.com members. 11% of those who opened the contest, entered it.